It’s a hot day, you’ve got a cool treat — it’s inevitable. That ice cream scoop, once so perfect in its rounded form, is going to melt, forcing you to fight the age-old battle against drips with your tongue as your only weapon. Take heart, dessert warriors: there are scientists out there who are trying to help us all, by developing an ice cream that takes a bit longer to melt. Researchers at the University of Edinburgh have taken on the task of preventing ice cream from dribbling down your arm so it can instead get into your mouth, reports Public Radio International in a recent segment of “The World” available online. “We’re not talking about ice cream that doesn’t melt at all, we’re talking about ice cream that melts more slowly than you would typically expect from a scoop of ice cream sitting on top of an ice cream cone for example,” Kate MacPhee, a professor of biological physics in the Institute of Condensed Matter and Complex Systems at the University of Edinburgh told The World. The team is working with a protein called BsIA that binds together air, fat and water in ice cream in what they call a “bacterial raincoat” to keep it frozen longer. The naturally-occuring protein adheres to fat droplets and air bubbles, making them more stable. 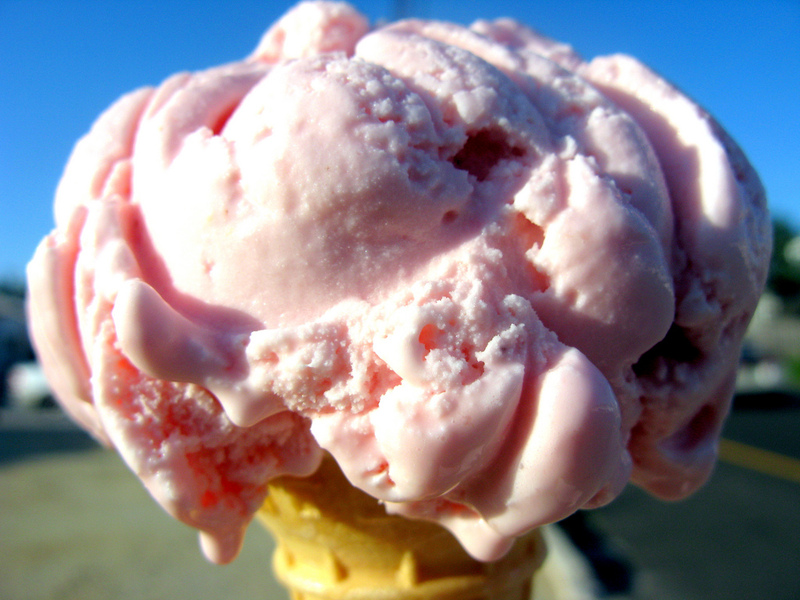 When the ingredients are stabilized by this bacterial raincoat, it slows the melting process and prevents gritty ice crystals from forming (like in freezer burn, perhaps) so your ice cream will be even smoother and creamier and still hold up for as much as 10 minutes longer than usual on a hot day. That’s good news when it comes to doing the laundry. “We can predict then that children should be able to get all the way through an ice cream cone without it dribbling all down the sides, which I think will be a bonus to parents all around the world,” MacPhee adds. Yes, ah, parents. They’re the only ones who have to worry about huge chocolate ice cream stains ravaging a pair of new white shorts after deciding that yes, a double scoop is necessary even when it’s 100 degrees and there are no clouds in the sky.